Newcastle defender Massadio Haidara has been released by Newcastle and will not get a new deal when his current Newcastle contract ends on June 30. Haidara was a promising young French fullback when he arrived at Newcastle in January 2013, but he has had a tough time of it at the club because of injuries. In the five and a half years he spent on Tyneside he played only 54 first team games. And since Rafa joined the club over two years ago, he played only 5 times for the first team, and in the last three seasons, he made 13 first team appearances. But Sadio seems to have no regrets about his time at Newcastle and hopes the club will continue to prosper under the leadership of Rafa Benitez. Even though Haidara was short of first team games, he was still a positive influence during training. Being a free agent next month should help him hook up with a club, and he is said to be in talks with Ligue 2 club Lens. We’re sure he will get a club in France shortly, and we wish the 25-year-old the best of luck for his future. It has come from the blog pest mate so make into it what you will. Today’s rumour…Markus rashford on a season long loan ???? What was Lesh’s bit of news ? Bit of a blog killer that Jiblets! Does anybody or Bobby I know will have the score for the England kids? Mitro hattrick, for me He is very good striker, If He will be starter next season, I would be happy. Also Radhford, them two will be lethal. Enter Armstrong with 10 mins to go. I’m not watching the game so not really able to comment, but if he’s been touted as best player of the tournament why’s he only getting ten minutes. Was he not really good during the tournament that won the cup but never made the final of the U19/18’s? I respect his opinion but think Bobby exaggerates Armstrong’s ability. Maybe a late bloomer but besides one really good season we don’t see much really. I just tuned in for the final, Jail. Bobby could tell you more. Yedlin on the bench tonight. Can see they won 2-1 breaking on sky, does anyone know who scored? Good luck Sadio in your future career. Wow, if players like Bertrand are going to be way too expensive for us then we are fcuked. goals from Serbia 5 Bolivia 1 including Mitrovic hattrick – goals 4 and 5 aren’t bad! Why would we waste that much of our budget on a full back. I’m all for rafa being allowed to spend but I’d prioritise left wing, number 10, 2 strikers, defensive midfielder, then right back, then look at cover for left back, centre back, playmaker and keeper. I genuinely think rafa will aim to do that as I think that’s a thorough strengthening of the first xi and squad, giving 22 players able to compete without making us weaker. I expect to see a lot still leave to help fund that. From the looks of it the youth will also be overhauled. Also at no point would I have seen Bertrand as being a viable option for us. Adam came on as Mexico were pressing strongly for an equaliser and England were concentrating more on denying them, he therefore didn’t contribute much to the game. Have to admit that Aidy Boothroyd got his tactics about right as they did win. Don’t know if anybody saw it but Mitro has a hattrick today! 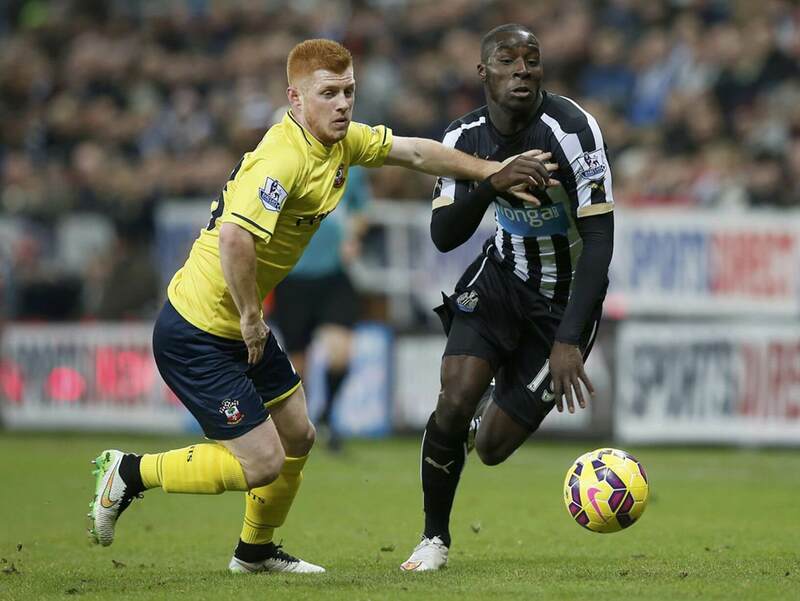 ‘The team have the quality’ said Haidara…. Ashley will love to hear that from a player. Bishop’s words? There’ll be a few full back diamonds in the lower divisions. It’s up to our scouts to discover them. What are you talking about @11. Reply when you can, when you’re sober. I’ll not hold my breath in the meantime! Why Man U want to discuss the loan of Rashford before the World Cup? Makes no sense to me. Imagine he has a fantastic tournament yet they have already agreed to loan him to us. That would just look like a massive c*ck-up on their behalf. If they really are prepared to send him out on loan it would be after the World Cup. From what I have seen, there’s every chance he will keep Sterling out of the team and they’re likely to get a better loan fee after the WC. Getting Rashford, on loan, with or without option or obligation to buy, by hook or by crook is a huge Freaking YES from this humble fan! Can’t imagine a more perfect player to lead our line next season! Rashford on loan would be a massive signing. In theory, it would be a great deal for all parties. He would benefit from more game time in his best position and the expert coaching of Rafa, a run of games can only enhance his reputation and therefore value so his club would be happy and if he could bring his A game, our fans would be delighted. not sure what kind of wages he’s on, if massive then we can’t afford him. Would Rafa trust him to slot into the team? Are he and Perez too similar? Questions I’m not qualified to answer, but what a buzz it would create. Why on earth would ManU want to loan out Rashford, he’s an established 1st teamer. With goals like tonight and more in the world cup what price for mitro? Reckon bidding should start at 30million. Young and future ahead of him should be worth at least that.